German tuner Mansory is making the trip to Las Vegas in November, and it’s not going there to take in a Cirque de Soleil show. Instead, it’s headed to the 2016 SEMA show and it’s bringing with it it’s latest tuning masterclass, one specifically developed for the Bentley Bentayga. Needless to say, Mansory is known for building show-worthy programs and this one for the Bentayga is no different. 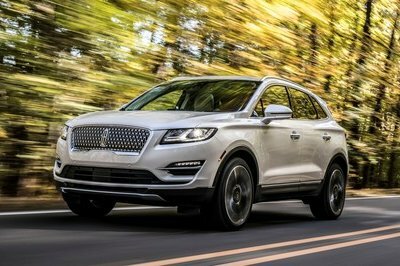 It’s got loads of refinements in the exterior and interior and it has an engine upgrade that takes the luxury SUV’s power numbers up to an impressive 691 horses and 773 pound-feet of torque. The power numbers and subsequent performance capabilities are the highlights of the kit, but they’re far from the only ones. This is Mansory, after all, and when it comes to these guys, no program is complete without the presence of carbon fiber. This kit for the Bentayga has carbon fiber. Lots of it, in fact. It also has an outlandish interior program that features only the finest in luxury applications and a new set of wheels that were thrown in for good measure. The Mansory-tuned Bentayga will certainly feel at home at SEMA with all its aftermarket brethren. But there’s something to be said for a tuner that’s known more for appearing at the Geneva Motor Show to make the trip to Las Vegas to showcase its wares to a predominantly American audience. You’d think that the tuner would’ve preferred a similar event that’s closer in proximity like the Essen Show in Germany. Is it possible that Mansory wants to become a bigger player in the American tuning scene? The exterior is arguably the most extensively worked-on section of Mansory’s program for the Bentayga and the results aren’t as cut and dry as you imagined it to be. The front section gets a significant amount of modifications, beginning with a new apron that now features a carbon fiber front lip with integrated LED daytime running lights. The carbon fiber hood is another other significant change, as is the front grille, which also received some carbon fiber love. The exterior is arguably the most extensively worked-on section of Mansory’s program for the Bentayga and the results aren’t as cut and dry as you imagined it to be. 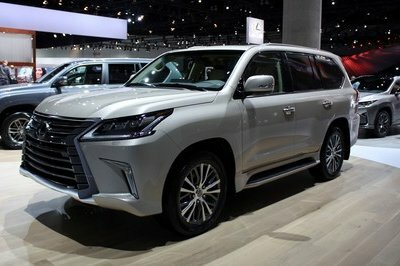 Move to the side and you’ll see fender flares and side skirts that not only help extend the width of the SUV, but also plays a role in giving it a sportier overall profile. 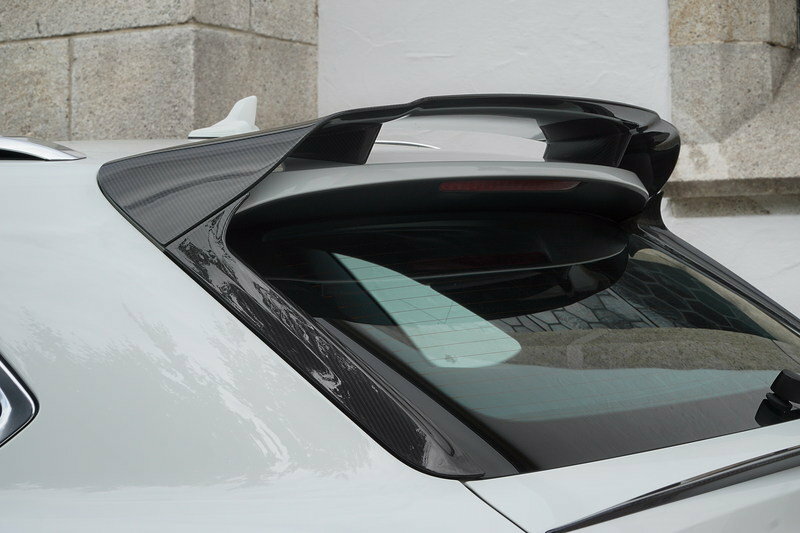 The rear section, meanwhile, is defined by a two-part roof spoiler and another spoiler that can be mounted onto the SUV’s tailgate. Just below them is a new rear skirt with a custom diffuser that houses the double dual-tailpipe configuration of the sport exhaust system. 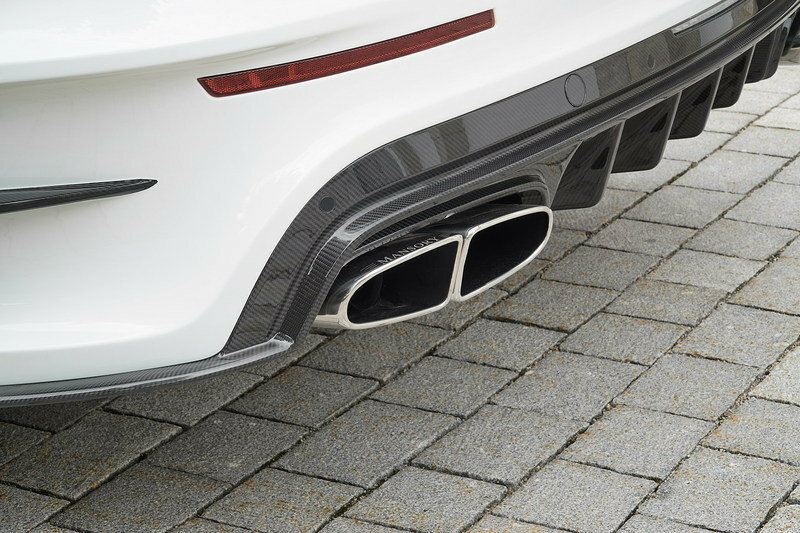 A few cosmetic refinements are also spread throughout the body, including mirror housings and air inlet vents in carbon fiber. Finishing off the exterior upgrades is a new set of 23-inch Y5/1 diamond-polished lightweight wheels that features narrow spokes and are wrapped in 295/35ZR23 Continental tires. When you describe the Bentley Bentayga in the context of this program and call it the “ultimate luxury SUV,” there’s some pressure there to make sure that the end justifies the hype. 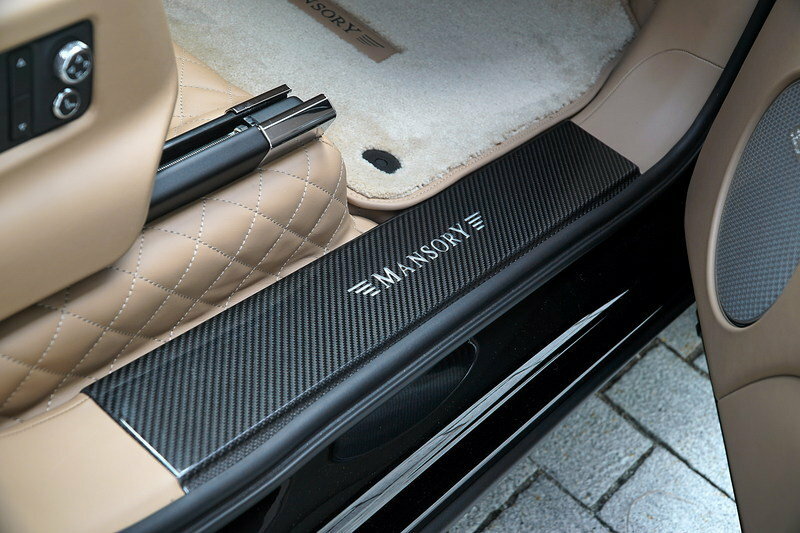 Fortunately, Mansory made its name in luxury aftermarket programs so there’s no need for the company to prove itself in this regard. The modifications it gave to the Bentayga’s cabin is all the proof you need. 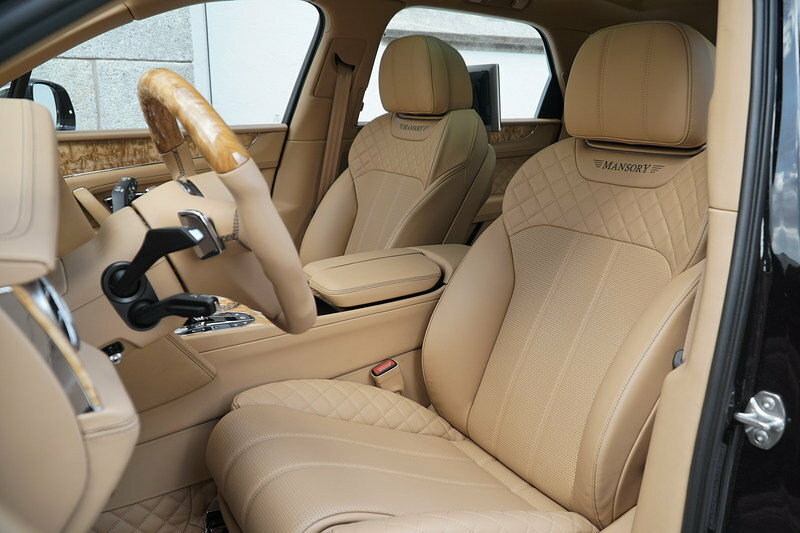 From the finely-appointed, hand-made leather upholstery to the individually stitched floor mats and the redesigned airbag steering wheel, the German tuner knows how to squeeze every ounce of added luxury and opulence to its tuning works. 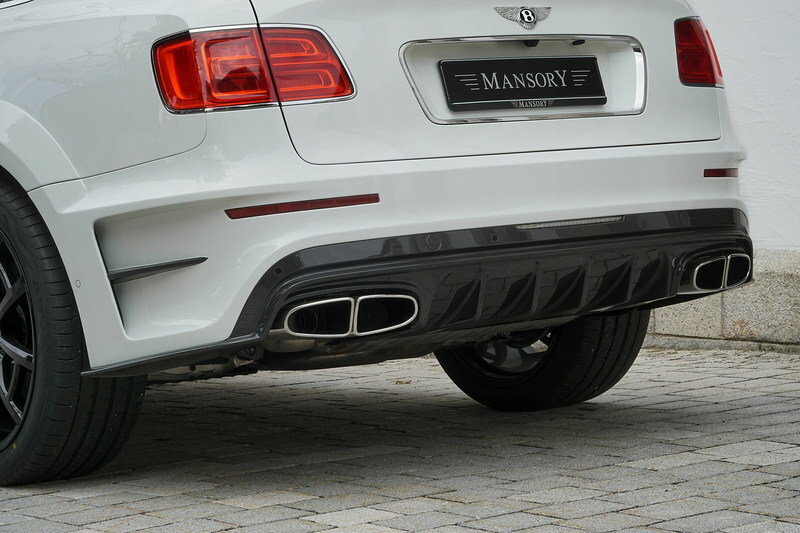 Details of the upgrades made to the Bentayga’s 6.0-liter bi-turbocharged W-12 engine were not divulged, but Mansory did say that it made the necessary adjustments to the engine’s programming and the exhaust system to bring out a total out of 691 horsepower and 773 pound-feet of torque. Do the math and that adds up to an increase of 91 horses and 109 pound-feet of twist from the Bentayga’s standard 600-horsepower and 664-pound-feet of torque output. 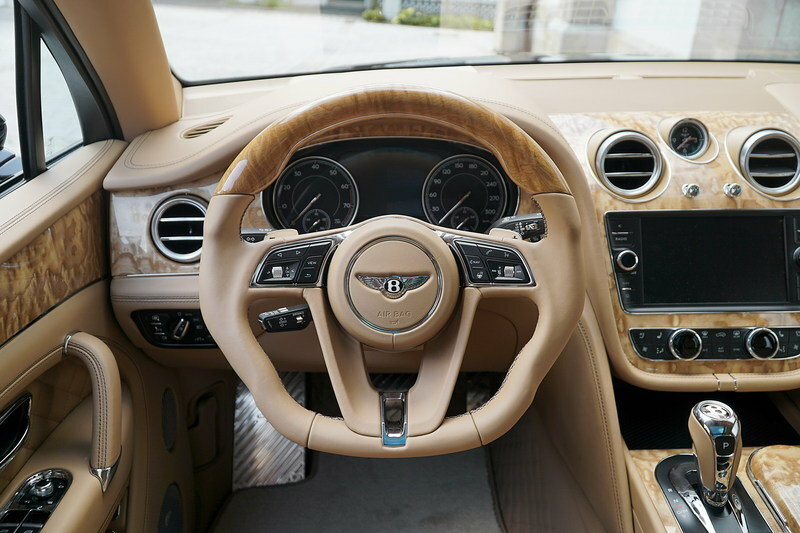 Likewise, Mansory opted not to reveal the SUV’s new 0-to-60-mph performance time, but it did say, or at least claim, that the engine upgrades help increase the Bentayga’s top speed to 193 mph, approximately six mph higher than the standard model’s capability. 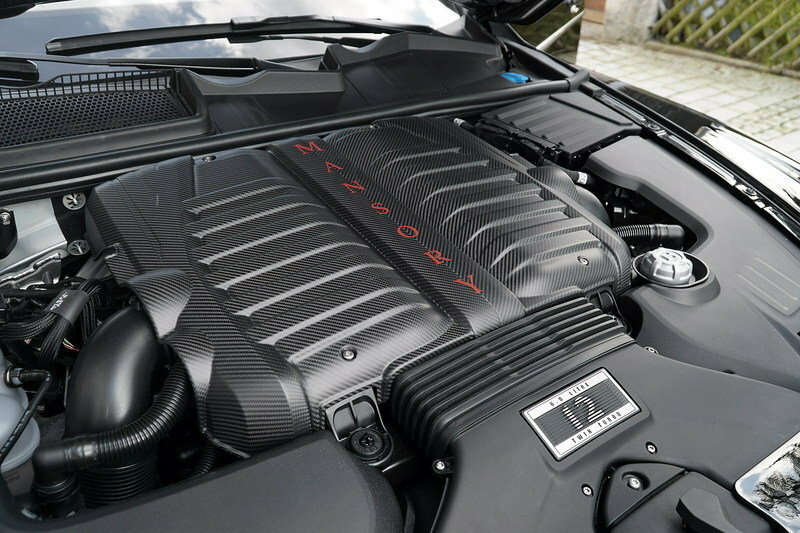 Seeing as the SUV is headed to SEMA where it’s going to be proudly showcased, don’t expect to get any pricing details from Mansory now. There is a chance that it could mention something at the show, but the best – and quickest – course of action to take is to go to the tuner directly to get a quote, should one be available anytime soon. Given the elements of customization attributed to these types of programs, I venture a guess that pricing is going to be different depending on what a specific customer wants or needs. Given the Bentley Bentayga’s price point that’s north of $200,000, only a handful of SUVs can lay claim to being direct rivals, including two that have yet to be revealed. One of them is the Lamborghini Urus, which is expected to cost around $210,000 to $220,000. 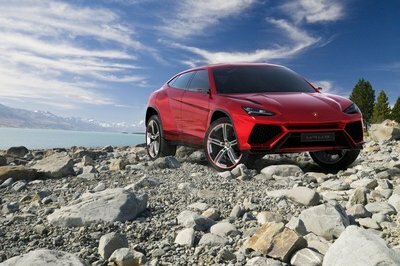 Just as important is that the Urus will come with a twin-turbo V-8 engine that’s rumored to have an output in excess of 600 horsepower and quite possibly, 700 pound-feet of torque. 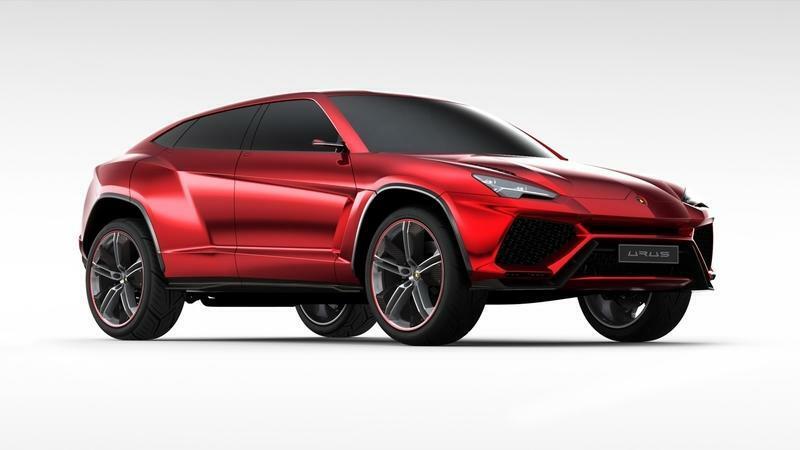 It’s also being developed, in the words of Lamborghini CEO Stefano Domenicali, as a “pure Lamborghini.” That usually means that the SUV will have an abundance of luxury and performance capabilities, just like its Bentley cousin. Read our full review on the upcoming Lamborghini Urus here. A more direct rival is the SUV Rolls-Royce is planning. 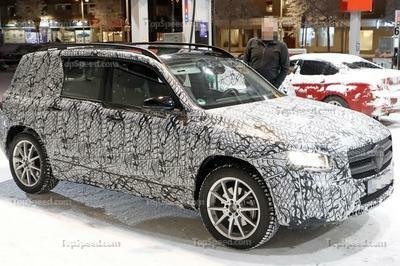 It speaks to the status of Rolls that people are already talking about this SUV as the biggest threat to the Bentayga even if it doesn’t even have a name yet. 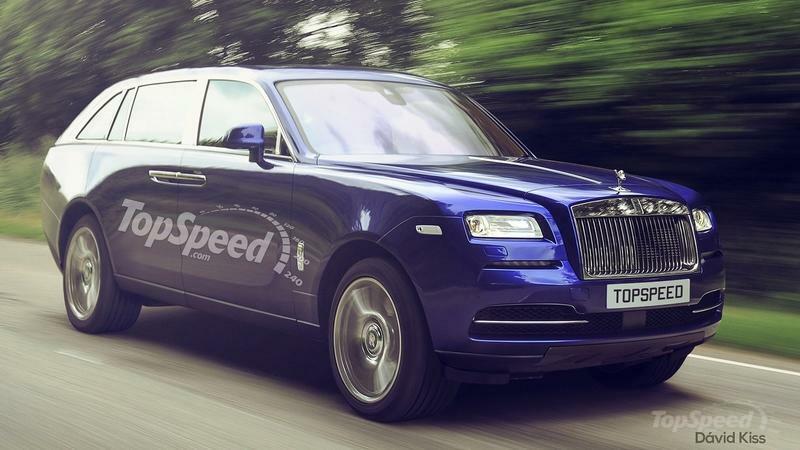 For the most part, we can only speculate on what the Rolls-Royce SUV is going to end up being, but rest assured, it should make use of the company’s 6.6-liter twin-turbocharged V-12 unit and tune it to produce north of 600 horsepower and 600 pound-feet of torque. At some point, Rolls-Royce will have a name for its SUV but as early as now, it should already be in the mind of Bentley and its Bentayga SUV. Read our full review on the upcoming 2017 Rolls-Royce SUV here. I’m a big fan of Mansory and its past works have been mainstays as desktop wallpapers in my computer. But I’m on the fence with this Bentayga kit and it’s mainly because of what the carbon fiber upgrades did to the look of the SUV. 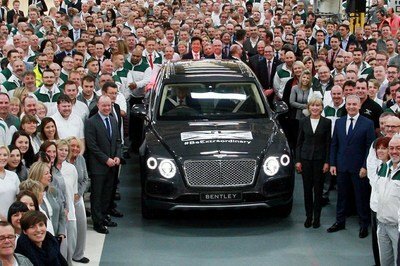 Sure, it’s a lot sportier now and the Bentayga isn’t the most pleasing SUV to look at. But it’s still a Bentley and there’s a cache that comes with that. 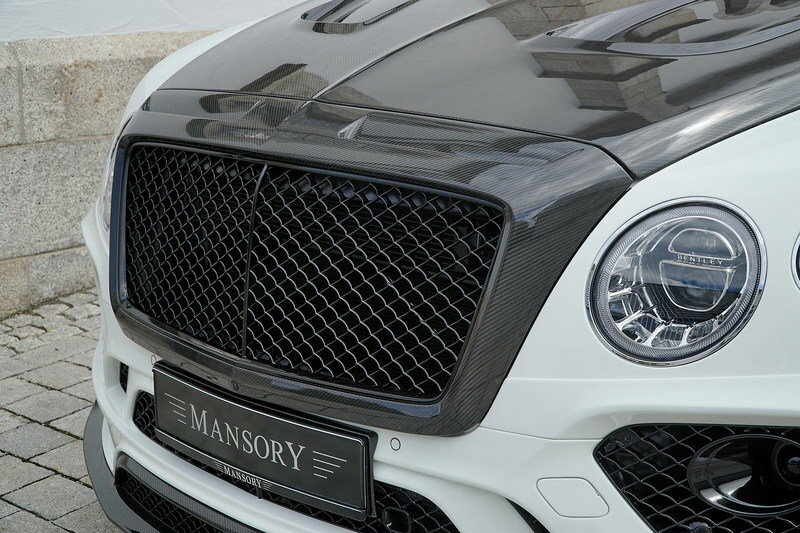 It’s just that Mansory’s kit somehow diminishes the "Bentley-ness" of the Bentayga in my eyes. It’s not a popular opinion, but I’m sticking to it.